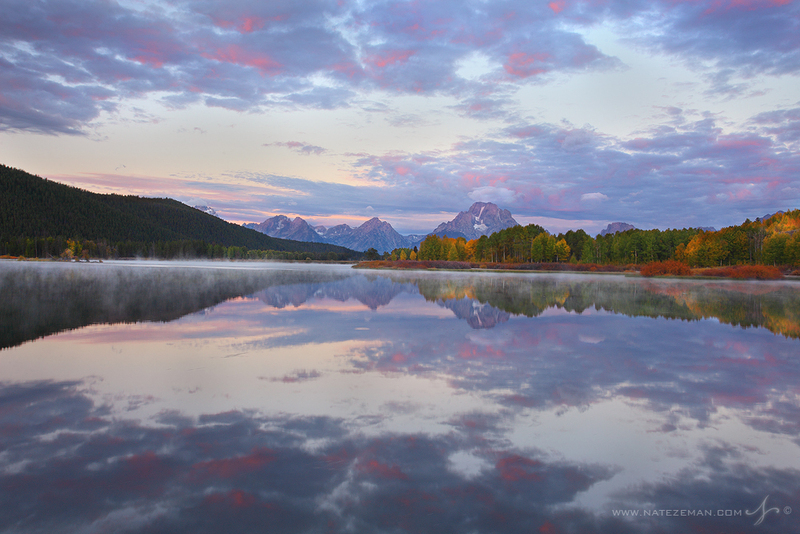 It's early autumn and sun kissed clouds appear in the sky as another morning begins in Grand Teton National Park. The Oxbow Bend is one of the most incredible views in the park and is home to abundant wildlife. Moose, elk, black bears, grizzlies, eagles and many other species of animals are sighted here often.